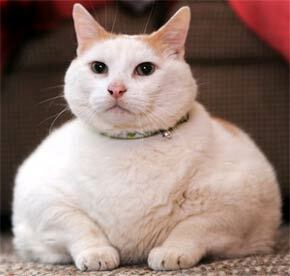 How to get your fat cat...less fat. And other random cool things about cats. I live in Jersey, after all. Princess (or Prince) Chunk's past, gender is still in doubt--an elderly owner, challenges with the care--perfect storm for an overweight cat. Good luck, Chunk. Your flabbitude will probably help other animals get adopted! I'll be offering a couple of books to the shelter that took ChunkCat in. My other book...is a dog! What If You Could Drive Your Cat? Lord Tubbington: my new favorite character on "Glee"
Can a cat person and a non-cat person live together? Take care of your pets--it's hurricane season. Where I talk about all things fat cat...and plug my book.